Secretary of State Ruth Johnson is moving forward with plans to replace aging voting machines across Michigan with “next generation” systems by August 2018. The State Administrative Board on Tuesday authorized up to $82.1 million in spending over the next 10 years, unanimously approving contractors with three vendors for new tabulator machines, election-management software and long-term maintenance. The state is expected to cover about $40 million of the spending, including most up-front costs, leaving local communities to foot the rest of the bill. Cost-sharing requirements will vary by community depending on which vendor local clerks select. “The new equipment offers voters all the speed and convenience of the latest ballot-scanning and election-night reporting technology while at the same time featuring a good, old-fashioned paper ballot that we can always go back and look at if we need to,” Johnson said in a statement. Some local communities including Detroit could secure new voting equipment by the 2017 August primaries, according to Johnson’s office, which said all equipment will be replaced by the 2018 primaries. The state expects local governments to cover long-term maintenance costs for the machines. The new contracts approved Tuesday are with Dominion Voting Systems of Toronto, Election Systems and Software of Nebraska and Hart InterCivic of Texas, which Johnson’s office said will provide systems that have been successful in other states. Michigan last bought new voting machines in 2004 and 2005. A state Senate Fiscal Agency report noted the machines still run on the Windows XP operating system, which Microsoft has not sold since 2008 and for which it stopped providing support and security updates in 2014. The new vote tabulators are “all digital,” he said, and the new software they will run should be an improvement for local and county clerks. “There are advances here that help on financing for local government, and I believe more accuracy and a better system,” Thomas said. The state had been developing plans to purchase new voting machines long before the November 2016 election and the subsequent recount requested by Green Party candidate Jill Stein. 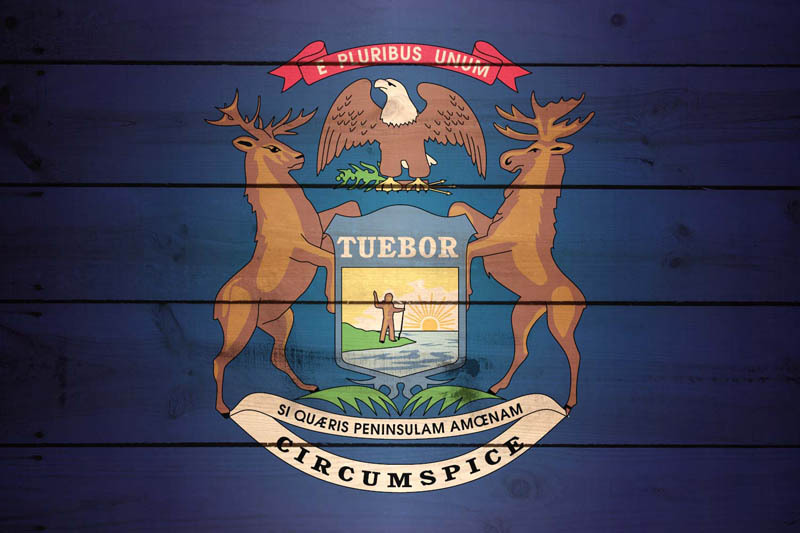 The partial recount, halted by state and federal judges, exposed a series of irregularities in Detroit and a high rate of “unrecountable” precincts across Michigan. Statewide, 10.6 percent of precincts in the 22 counties that began the retabulation process couldn’t be recounted because of a state law that bars recounts for unbalanced precincts or ballot boxes with broken seals. Most of the recount issues were not a result of errors by old voting machines, said Thomas, who added that in some cases voting machine tapes helped confirm vote counts even if the log books were off. The digital ballot-scanning technology should help reduce jams, though, he said. The systems will allow ballot images to be stored electronically for review during post-election audits. The state has roughly $40 million available to spend on the voting machines, including $30 million in federal funding left over from the 2002 Help America Vote Act and $10 million approved by the state Legislature and Gov. Rick Snyder. The state has informed clerks that their local cost-sharing could amount to roughly $1,000 to $2,000 per precinct, giving them time to work those costs into their budgets, according to department spokesman Fred Woodhams. For Detroit, the state’s largest city, that could mean a long-term tab approaching $1 million. “They’ve been well aware that this has been coming down the pike for them,” Woodhams said. This is a significant development; voting technology upgrades are likely on the agenda of most election officials across America and Michigan has clearly invested money and effort in identifying both potential companies and a funding stream to cover the costs. Time will tell if other states follow suit. In the meantime, it will be interesting to see how the upgrade works in practice – especially the need for local to find money in their own budgets for the upgrade. Still, kudos to Michigan for making the investment in this vital aspect of election administration. Be the first to comment on "Michigan to Invest $82.1M to Replace Voting Technology"